Tomorrow's £369 Million* Super Jackpot could be yours - get 2 bets for 98p! Did you know there's a whopping Super Jackpot worth £369 Million* up for grabs? And now you could be getting two bets on tomorrow's cracking prize for just 98p! Yes, you heard us right...98p! What's to lose? You may have seen the popular betting site on your TV screens in recent weeks when they revealed Keith Lemon as the new face of the brand. They've had some memorable big prize winners on their US games to date with one lucky punter from Bolton taking home a 'cool' £800,000 by placing a bet with through the website, with smaller prizes won weekly by their 1,000,000 worldwide members. 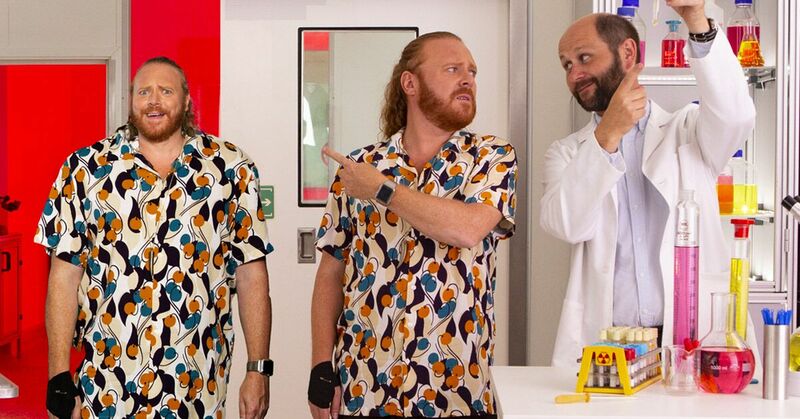 When asked, Keith Lemon said he would get himself cloned if he won a big jackpot! To celebrate tomorrow's whopping £369 Million* Super Jackpot, LottoGo.com is offering new players a chance to pick up two bets for 98p when you sign up today - saving you over 80%. 18+. Offer available to new players only. LottoGo.com is licensed and regulated by the UK Gambling Commission for UK customers (For full details of LottoGo.com's Regulatory Body please see T&Cs) and has more than 1,000,000 players. Gamble Responsibly www.gambleaware.ie.